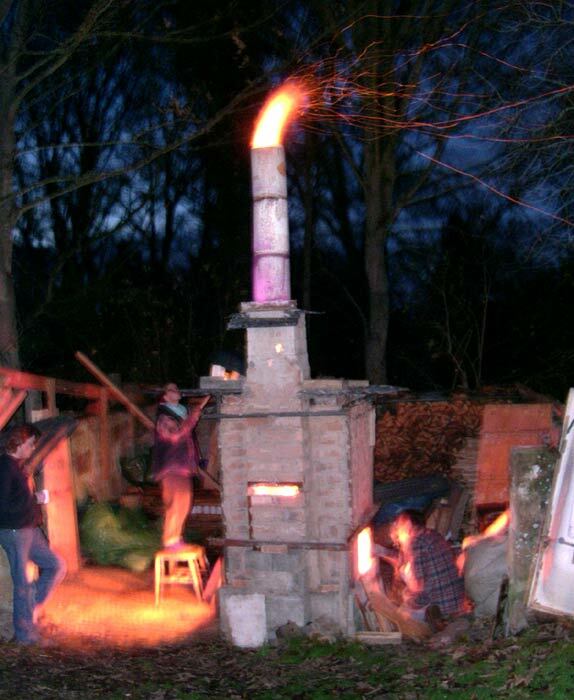 This shows Peter Fisher's (on right) wood-fired kiln being fired on the evening of 27th November. On the left is Leon, and Barbel Dister is standing on the stool to the left of the kiln checking the temperature. The pots inside are being fired to 1260 degrees, and 'soaked' at this temperature for about half an hour to get the distinctive stoneware glaze effects.